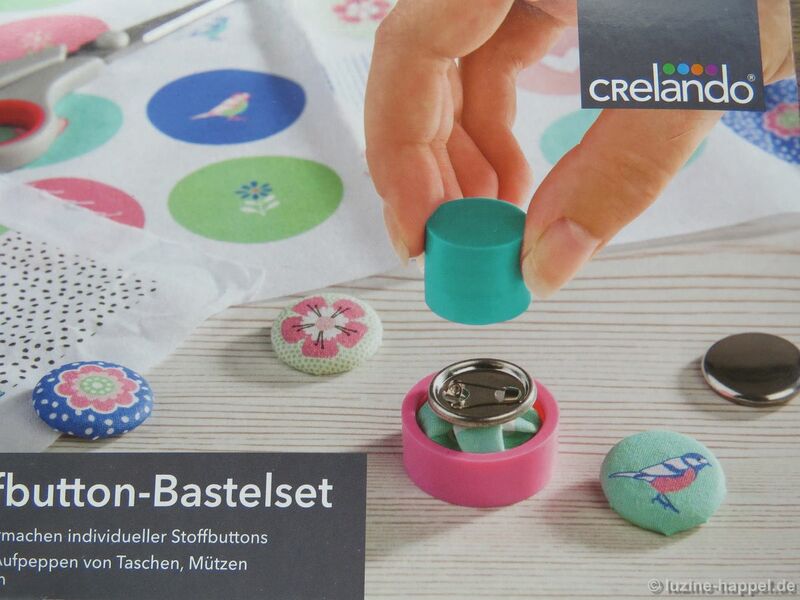 Buttons are not only functional but also decorative. In fact, often they are used as decoration only. 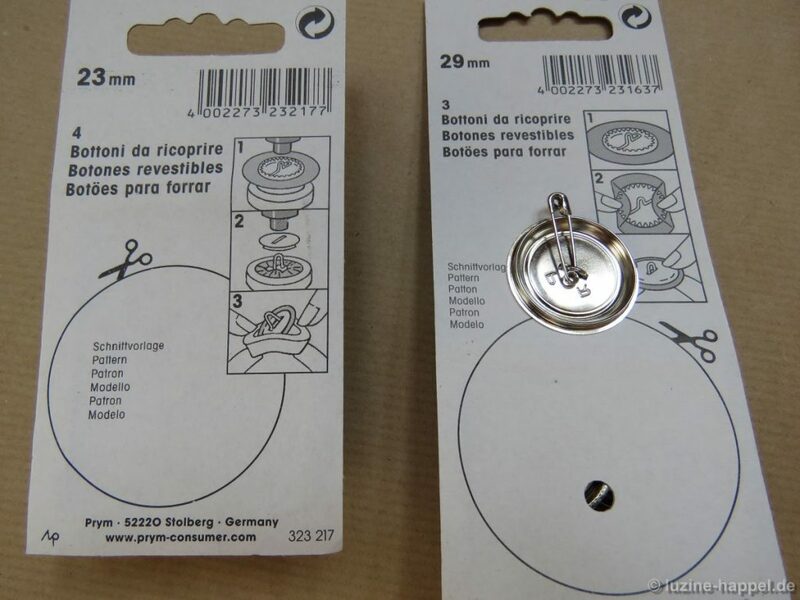 At my grandchildren´s house, I saw a kit for making fabric buttons, and I experienced the simplicity of making them. So I got the idea to work buttons with small elements of whitework. 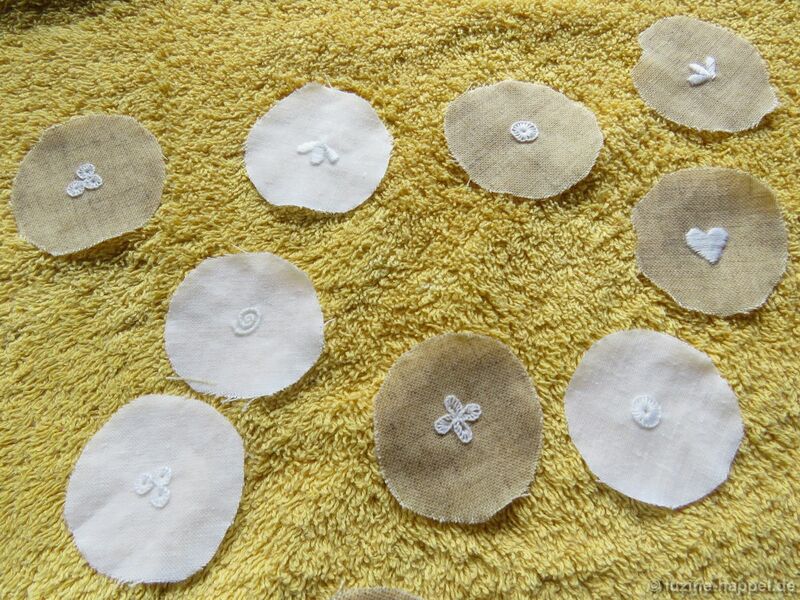 White and natural linen was embroidered with tendrils, small leaves, Blanket stitch eyelets, and small hearts. The pieces were cut, washed, starched, and ironed. With the tools included in the kit, I tried to cover the button. 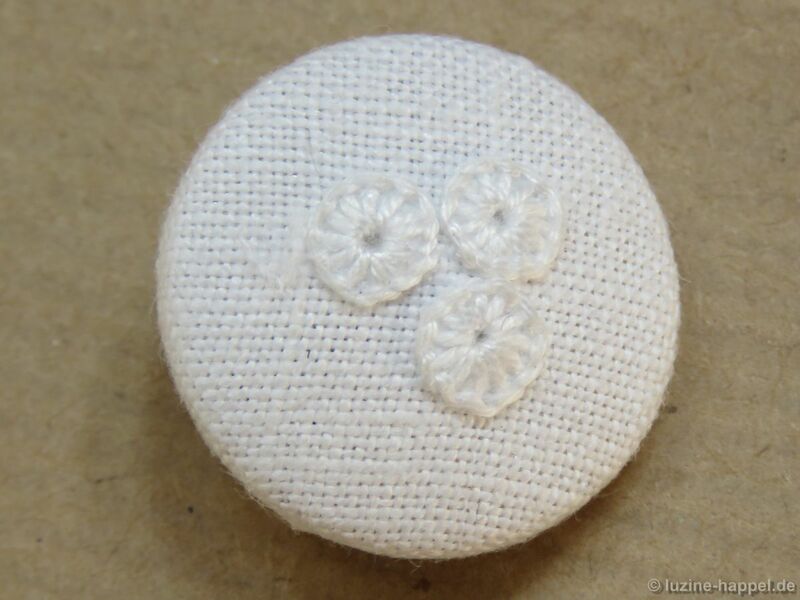 The linen was laid upside down over the button-making “bowl” and, using the top piece of the button form, pressed into the bowl. 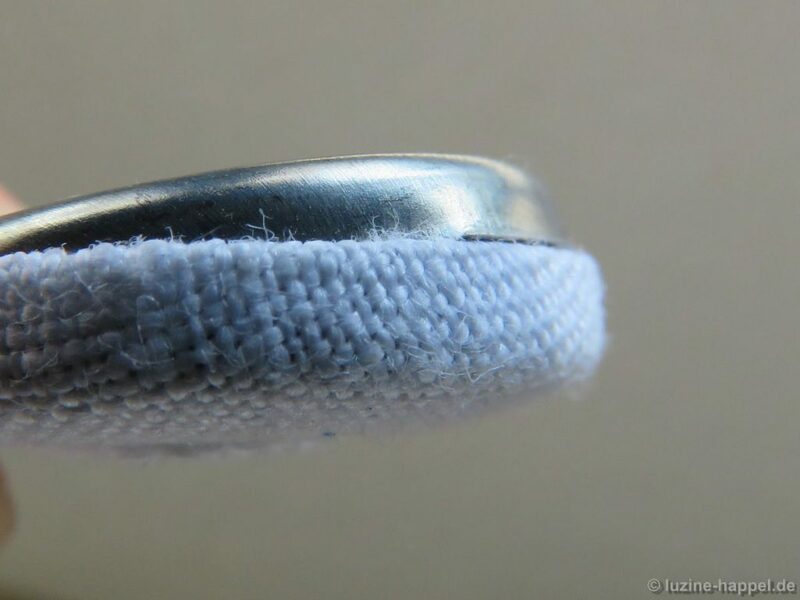 Remaining fabric was folded inwards. and, with the appropriate tool, pressed into the bowl. The result was sobering. One edge of the button was dented. 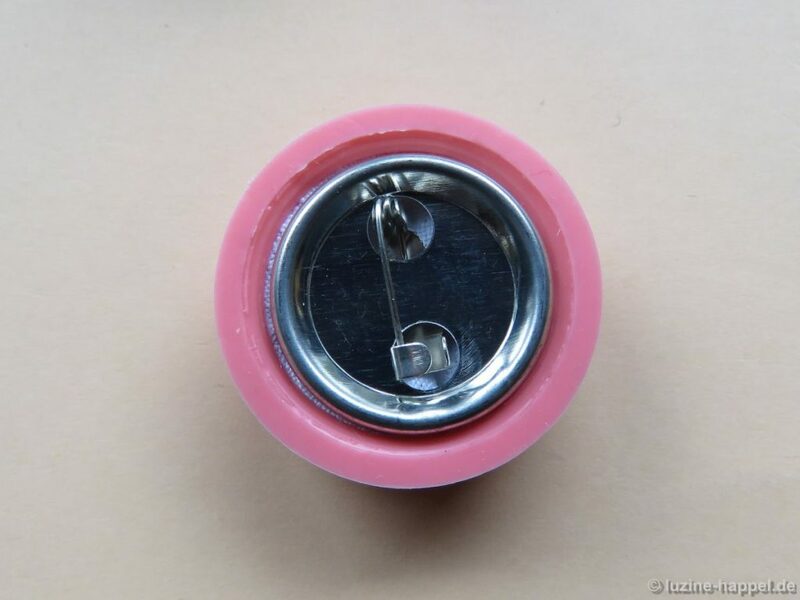 The back of the button form was not totally locked into place. 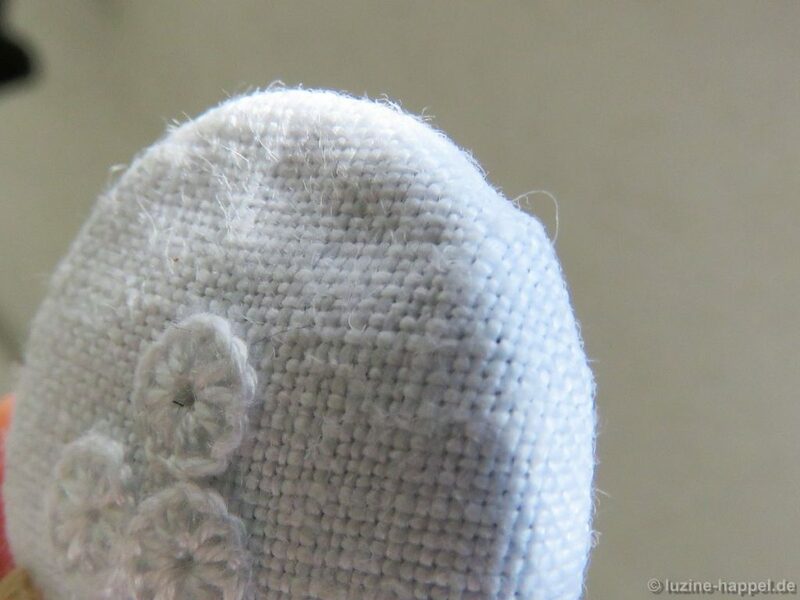 The linen was thicker than the original fabric of the kit, so it did not work. What to do now with all my embroidered linen pieces? 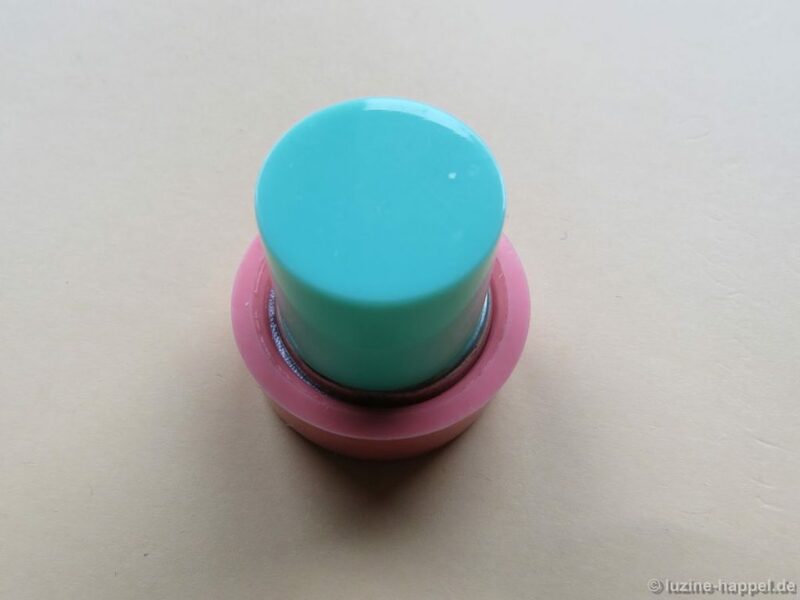 I obtained high quality button blanks. They are available in different sizes. 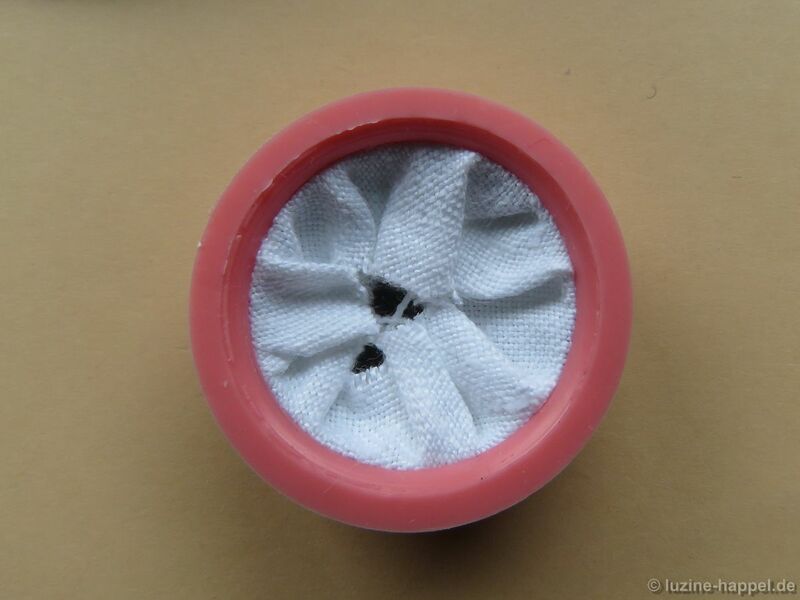 The packages of the smaller button blanks include the tools. 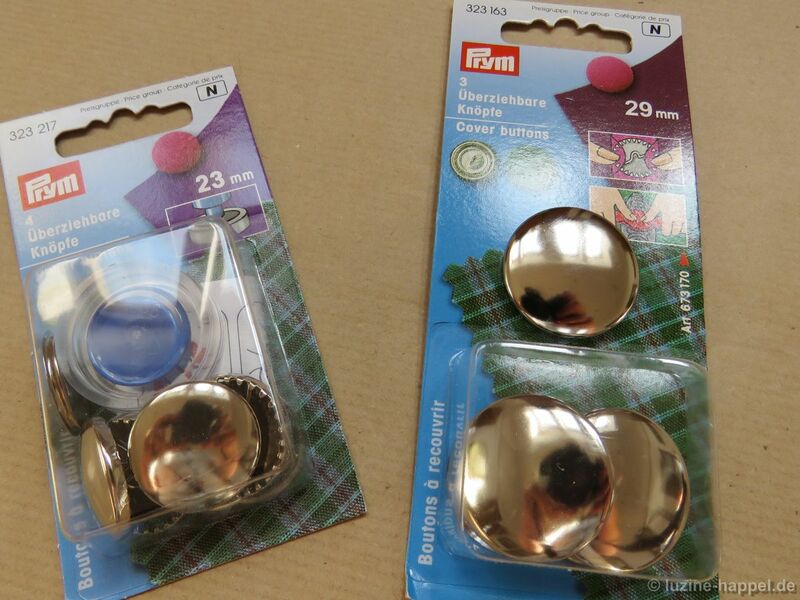 Also these button blanks have the advantage that the finished buttons can be secured either by sewing or pinning with small safety pins. 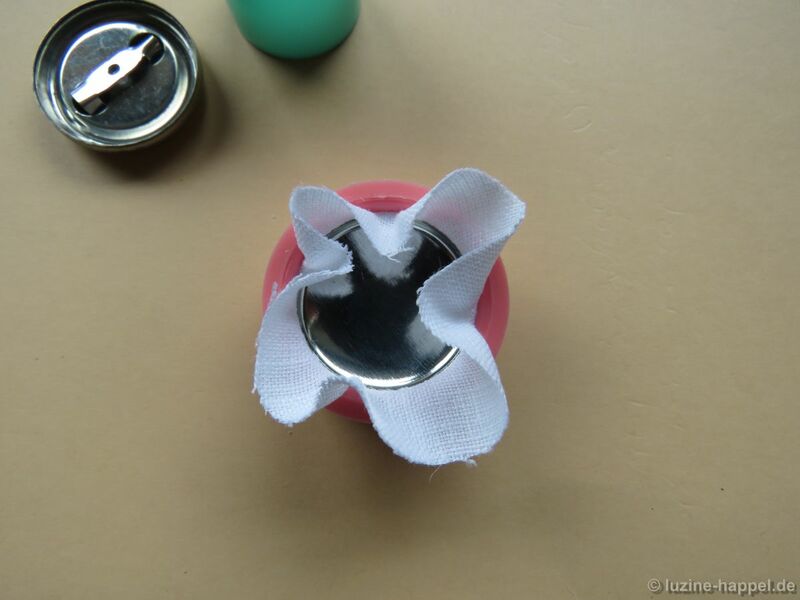 In addition, a stencil is included for cutting the fabric to the necessary size. 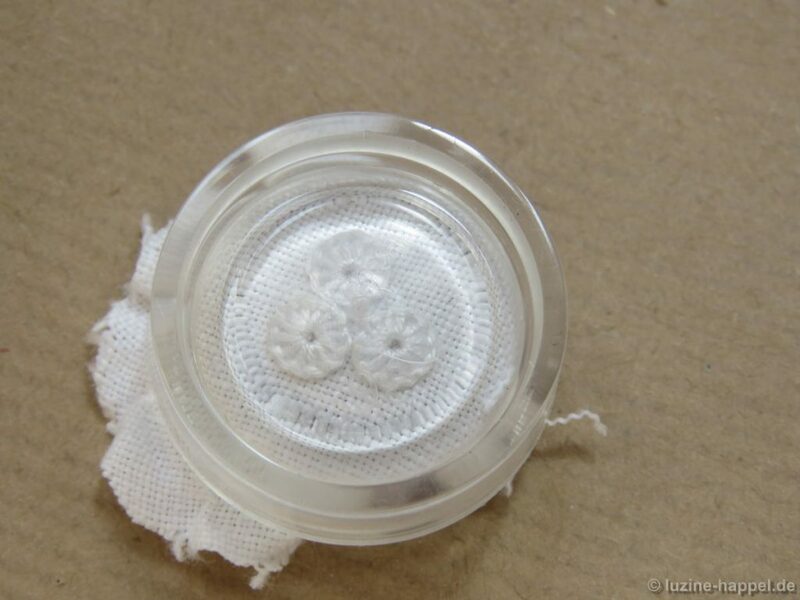 The button-making “bowl” is transparent; this helps in positioning the embroidery. With the included pressing tool the back of the button form was easily. 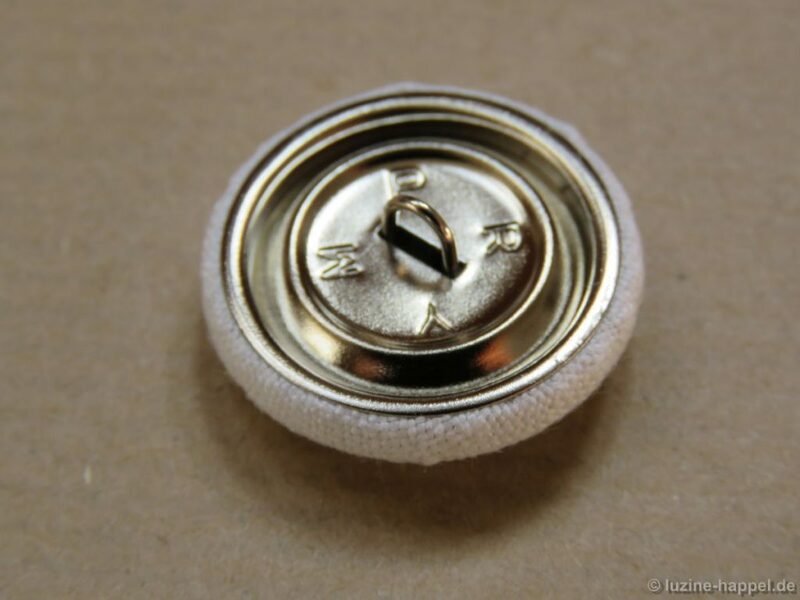 The first button was finished – evenly and smoothly covered. 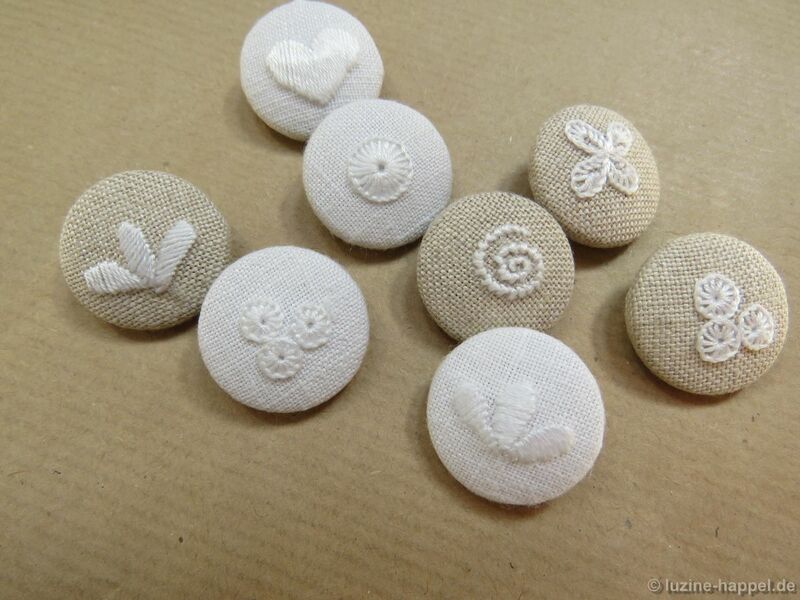 Now many embroidered buttons wait for their use on waistcoats, bags, sweaters, and . . . the possibilities are endless. Fitted with small safety pins, they are easily moved from one garment to another and removed before laundering. mit den Prym-Knöpfe habe ich auch bereits gute Erfahrungen gemacht. Deine Knöpfe schauen bezaubernd aus! Ich werde mich heute an eine kleine gestickten Geldbörse versuchen. danke für das Kompliment – ich gebe es gerne zurück: der Schmetterling ist wunderbar gelungen. Immer wieder gern schaue ich nach, was es Neues gibt, und immer finde ich so viele interessante Posts auf deiner Seite. Auf die Geldbörse bin ich gespannt! die Geldbörse ist gut gelungen; nur ganz so einfach war das zusammenbauen dann nicht :). Diese Anleitungen sehen immer superleicht aus :). Aber das ist es wohl erst nach viel üben! Jetzt habe ich mein Schmetterling übrigens auch noch geschrumpft: es sitzt jetzt in ein 4cm Stickrahmen von Dandelyne. 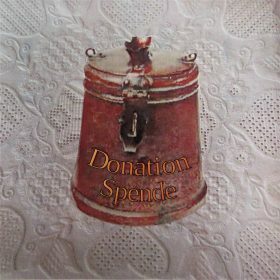 Muss ünbedinngt am Montag drüber schreiben im Blog. Gespannt warte ich auf die Bilder des kleinen Schmetterlinges und dann später auch auf die Beschreibung der Geldbörse.